Do you have an old hot water cylinder? Do you need more storage space in your airing cupboard? Or are you fed up with your noisy shower pump every time you have a shower or turn on a hot tap? Then perhaps a combination boiler is for you. Combination boilers are ideal for small houses and flats, but not ideal for large houses with two or more bathrooms. Rather than having a hot water cylinder with programmed hot water, you instead have mains pressure hot water on demand. This simply works by your cold water mains being heated up as it flows through the boiler, providing you with instant hot water at a good pressure (this is dependent on your current mains pressure). As well as having instant hot water, your heating system is also pressurised and sealed. This means there is no feed and expansion tank in the loft so the system is easily filled and is kept clean and healthy. As the heating is pressurised, all the existing bathrooms (if they are not already) will also be converted to mains pressure. 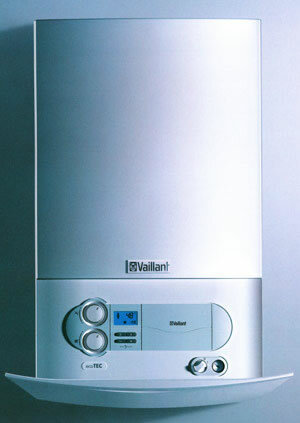 We recommend Worcester-Bosch or Vaillant Boilers.